Professional horse stables nearby Krynica offer the possibility of horse riding in the meadows and forests of the Beskidy Mountains as well as in the indoor and open riding schools. Horseback riding is a great way to spend time outdoors. Actually, anyone who shows a willingness to learn can do it. Other attractions offered by the stables are horse-drawn carriage tours, which are great opportunity to enjoy the mountain landscapes. The salutary effect of riding has been discovered long time ago. Hipotherapy as a form of rehabilitation of the disabled is very popular and widely used. In this type of treatment the huge role plays the horse (as a co-therapist). Contact with the horse helps to alleviate the effects of many diseases of the neurological substrate. During the classes children learn to relax, sit freely, increase range of motion. 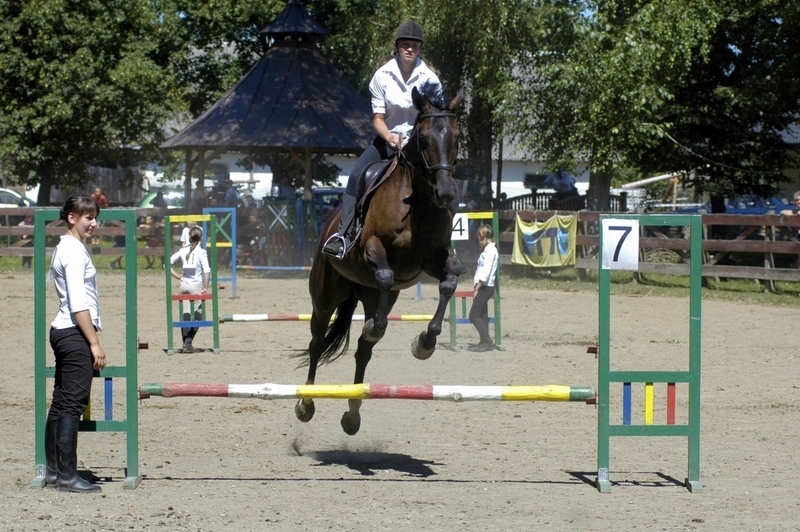 Due to the many advantages and the pleasure that can be derived from horse riding stables in the area of ​​Krynica invite everyone to start, or continue, their adventure with horse riding. Active Tourism Centre "Końska Dolina"